Avon Perfect Eyebrow Kit claims “Get the perfect eyebrows with this neat little duo!” I tend to agree that it’s a great duo. The packaging is sleek and compact and it holds a wax and powder as well as a dual-ended angled brush and it even has a mirror. This kit comes in 4 shades: Auburn, Blonde, Deep Brown and Soft Brown. I tried this eyebrow kit in Blonde, which is a very light shade. 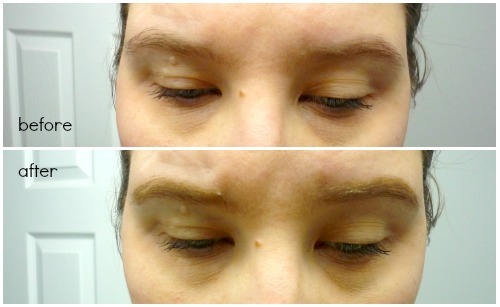 On me it leans a bit orange but that’s not uncommon, as I have discussed the taupe nature of my brows before. The Blonde shade was a bit to light for how I normally do my brows (I will be purchasing the Soft Brown shade and using a mixture of the two). Avon recommends using the wax first and then the powder. I’ve tried it both ways and really I think it’s just a personal preference on if you want to groom with wax first or second. I am not always a fan of eyebrow wax and it can feel quite greasy and slide, but Avon has done a great job the wax is soft and pliable but also has just the right amount of tack and drying to it. These eyebrow kits are $9.00 CDN and extremely handy. If you are a person who travels or is maybe just getting into the whole eyebrow thing I really think this compact is for you. I have this in Auburn and I love it! I love the concept of this. Easy on the go brow kit. 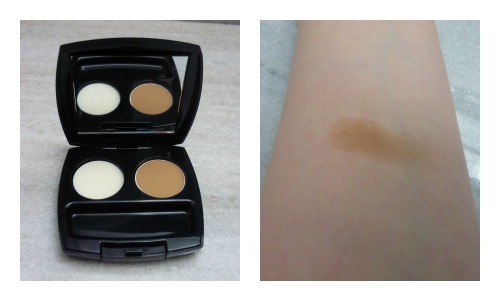 I currently use Aqua Brown by MUFE and this would be a great alternative when I am on the go! Oh, wow! Avon has really improved. Haven't tried this, but it looking good for them.